Please supply full flight details and number of passengers/bags. 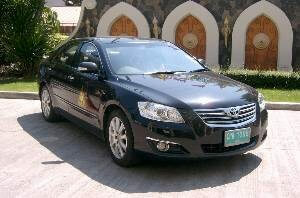 Our executive taxi service from Suvarnabhumi airport to View Talay 6 is offered for 1,600 baht inclusive of tollways. If you are not booked to stay with Honeys,we ask please for pre-payment by PayPal to honeys@ymail.com Please add 5% to cover charges.Thank you. Suvarnabhumi International Airport is just a 90-minute drive north of Pattaya, easily accessible via the Chonburi Motorway. You will quickly find that View Talay 6 Condominiums by Honey has one of the best locations in town – just meters from the beach beside bustling Beach Road and next door to the all-new Central Festival shopping mall. So sit back, relax and enjoy all this great town and Condo have to offer. To help you get around we’ve compiled this helpful list of travel dos and dont’s. Pattaya can be reached in a two-hour drive along the Bangna-Trat Highway via Bang Pakong, Chonburi and Si Racha. However, visitors can avoid Chonburi by opting for Highway 36, the new Chon Buri – Pattaya – Rayong route. Regular air-conditioned buses depart from Bangkok’s Eastern Bus Terminal (Ekkamai) and Northern Bus Terminal (Mochit) daily. Buses depart the Eastern Bus Terminal every 30 minutes, from 5:00 am to 10:00 pm, and from the Northern Bus Terminal frequently between 5:00 am to 7:00 pm. You can also hop a mini-van from Century One shopping mall (beside Victory Monument). This is a very fast and convenient option; rides take just 1.5hrs and cost Bht 120. There are two companies providing transportation services from Bangkok’s Suvarnabhumi International Airport to Pattaya and back. More information can be found at http://www.airportpattayabus.com/ or http://www.belltravelservice.com/pages/PageHome.aspx. The State Railway of Thailand offers a daily train service departing from Bangkok’s Hua Lamphong Station at 6:55 am. It takes about 4 hours (on a good day!) to reach a station on the outskirts of Pattaya, from there a short taxi ride will get you into town. Call (0) 2621 8701 for more information. Bangkok Airways provides daily flights connecting Ko Samui with U-Taphao Airport, which lies about 30 kilometers south of Pattaya. The standard fee for anywhere for the normal route Beach Road – Second Road is 10 baht.If you want to go somewhere else please negotiate the price before you enter the vehicle. 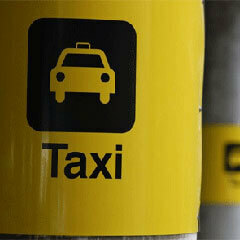 Proper taxis with air-con are available for trips anywhere, not just to the airport. These taxis are “officially” metered but every trip is subject to bargaining. Most of the drivers speak a bit of English and are great sources of information. Otherwise, our hotel is happy to arrange transport to any destination, please speak with our Reception for details. Motorbike-taxis are a way of life in Pattaya. If you want to get to somewhere quickly or conveniently, particularly at busy times, these are your best option. On every corner in Pattaya, you’ll find a gathering of motorbike-taxis They are there 24 hours a day, 7 days per week. As always in Thailand, remember to negotiate the price before heading off. Another practical way to get around Pattaya is by hiring a motorbike. You can hire one for around 150 baht a day, or less for longer periods. These scooter-type bikes (e.g. Honda Click) are extremely reliable and easy to ride having no clutch when changing gears. Thanks to congestion, local traffic doesn’t move very fast so they are actually ideal vehicles for experienced riders to get around on. Please check the insurance when renting the motorbike and be extremely careful when riding the bike. Make sure that everyone sitting on the motorbike is wearing a helmet and you have the international motorbike driving license with you as the police like to do spot-checks. Cars can be hired too and international car rental companies like Budget, Avis, Hertz and Sixt have an office here in Pattaya. Driving them in and around the city is likely to be frustrating during peak times and anywhere on Sukhumvit Road. In general, four wheels are only really useful if it’s raining or you intend to explore the area. There are many hire firms around the city with prices starting at around 500 baht a day for older cars, to a more realistic 1,200 baht for more modern or four wheel drive vehicles.Free secure carpark for our customers.If you would like a car and driver, please speak to Reception who will happily assist.